The EPA announced plans to set stricter limits on 4 contaminants found in drinking water and believed to cause cancer. The new rules on these four contaminants will be in place within the next year. The first two chemicals come from industrial and textile processing and get into our drinking water from ground or surface water. The other two can actually get into the water during water treatment processes. As we often say: Don’t wait until particular contaminants are identified in your water – and then scramble to get a filter to take out those chemicals. 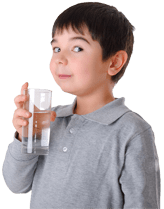 Get a filter now that works on all the categories of contaminants you should be concerned about with municipal water – organic, chemical, heavy metals, odor and taste.